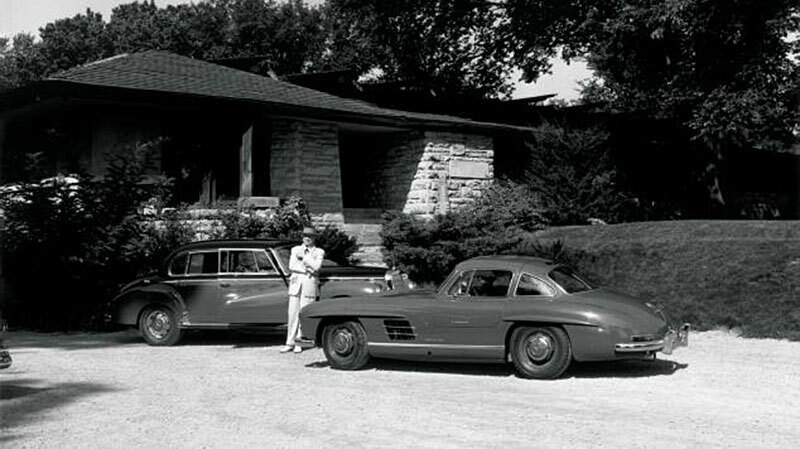 Frank Lloyd Wright is considered by many to be the greatest architect of the 20th Century, and he is pictured below standing in front of one the homes he designed, and he has is standing in front of his Mercedes 300S Sedan, which kind of looks like a Rolls Royce, and Mercedes Benz 300SL Gullwing. The Mercedes Benz 300SL Gullwing is considered to be one of the most classic, iconic and collectable cars ever made. Frank Lloyd Wright also designed the Manhattan Mercedes Benz dealership located at 430 Park Avenue in New York City in the 1950s for Max Hoffman, who was a car importer. 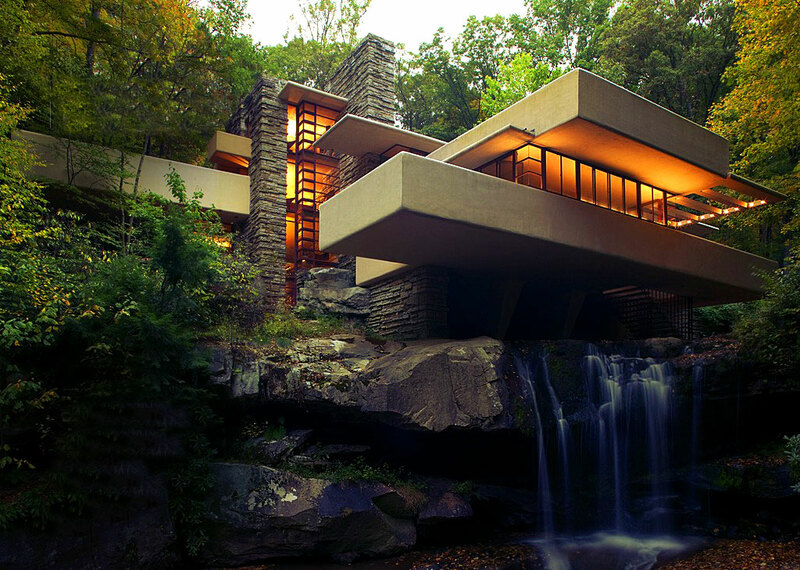 Frank Lloyd Wright's most famous piece of residential architecture was likely "Falling Water" which is a residential home built on top of a natural waterfall, which is pictured below. 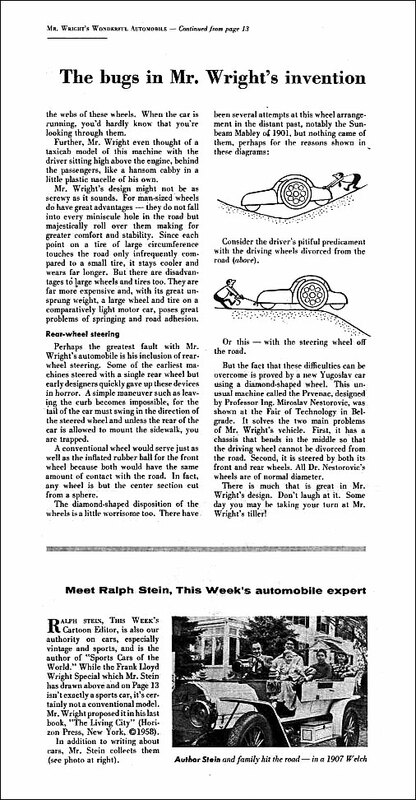 Frank Lloyd Wright was a design fanatic, and many people don't realize that at one point he attempted to redesign the automobile, as see below in this article that ran in the May 24th, 1959 issue of "This Weeks Magazine". 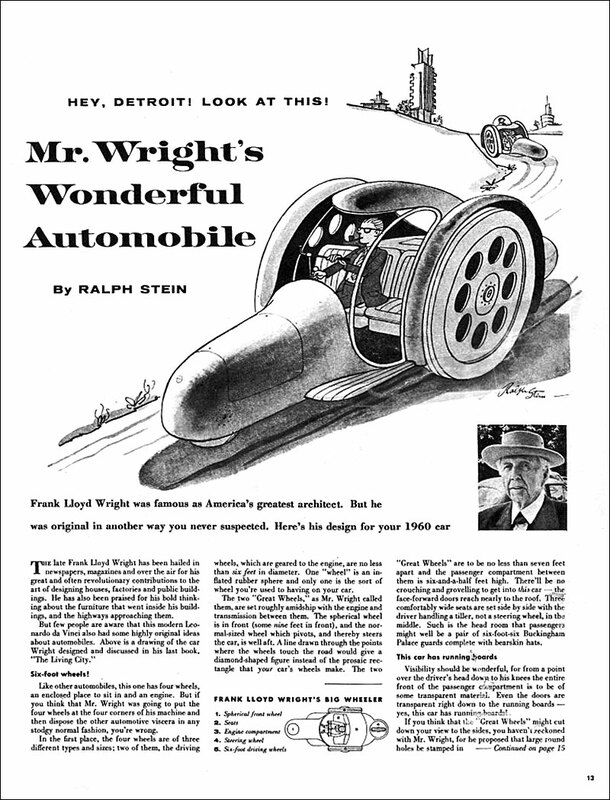 This Weeks Magazine was a Supplement that was included in many Sunday newspapers in America. Both vehicles are Mercedes 300s. The Gullwing was an SL and the four door used several letters depending on the engine type. This is fabulous.Great post!Thank you for sharing.Keep it up. Opportunities are only section of the reason this really is one of the best cars to ever strike the sidewalk. The fact the 1957 Mercedes 300 SL was the quickest production car at the time, means driving on your ad conferences in New york wouldn’t be considered a bore. The two vehicles will be Mercedes 300s. The Gullwing was a great SL as well as the four door used a number of letters with respect to the engine type.